When the BBC Micro and BBC Master series were designed mass storage devices were few and far between, mainly because of the high cost of purchase. A 5MB drive would normally be enough storage for an entire class of users, with the expensive drive being shared across a network. The original drives used the SASI interface (largely equivalent to a SCSI I interface) which made writing the hardware drivers relatively simple, using high level "sector" operations to talk to the logical layout of the drive. An alternative approach is to use the readily available integrated drive electronics discs robbed from a PC, or purchased from your local computer supplier for a few pounds. The interface board is a new design which joins to the 1MHz port on the BBC, bridging it to an IDE port. 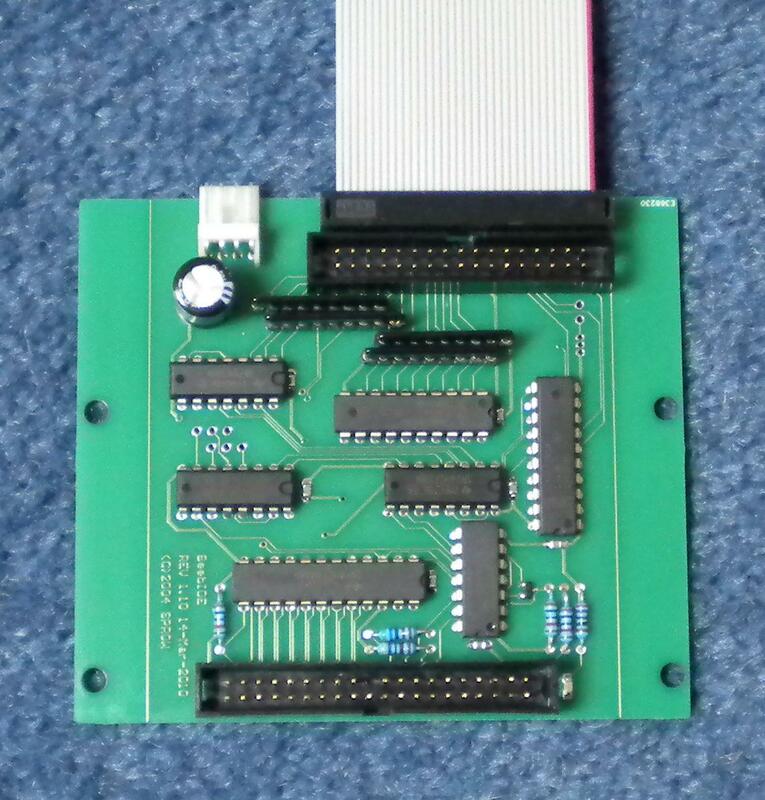 Consisting primarily of address decoding, some latches and buffers, the only additional parts required are a standard 40 pin ribbon cable and the chosen drive. There are locating holes positioned to allow the interface board to be screwed onto the holes normally used to hold the drive in the PC case, though these can be trimmed off if not required - making the interface the same size as MiniB. Jumper links on the PCB determine where in the memory map the drives appear to software, each interface taking 16 bytes in the range &FC40-FC4F or &FC50-FC5F as desired. As each interface can drive a master/slave combination this gives a potential for up to 4 IDE drives in total. Though filing system software would be required, there's no reason in principle why an ATAPI device could not appear amongst the 4 drives - opening up the possibility of support for CD-ROM as well as harddisc storage. For writes to the drive the "data high" register must be written to first by the CPU, before the low byte. The action of writing the low byte causes the hardware to transfer the full 16 bits to the drive. For reads from the drive, the low byte must be read first which will capture the high byte in the interface card, the CPU can then read the high byte from "data high" at a later time. Note that some registers have different meanings if the drive is programmed to run in logical block addressing mode. For a more complete description of what the registers mean consult the ATA command document. 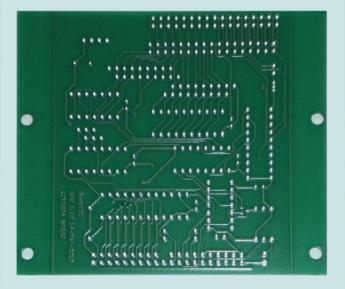 These boards are available now in either bare PCB form or ready assembled and tested. For self assembly, the schematic will help to track down any problems in conjunction with the component layout drawing. The updated filing system ROM containing ADFS with support for IDE drives should be downloaded along with the formatting program, HDInit, written in BASIC.